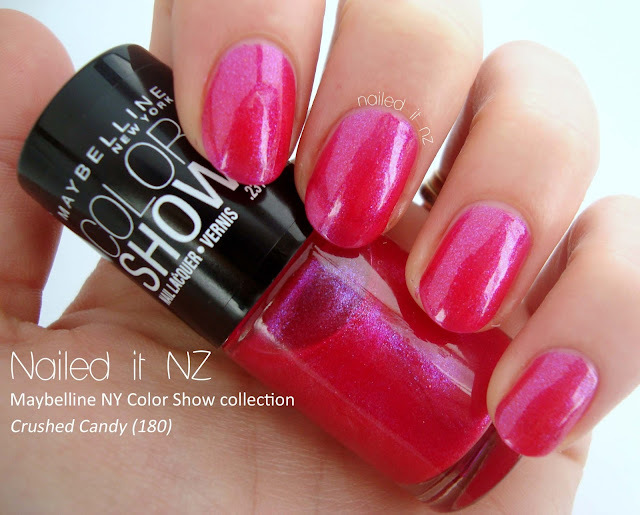 As you may have noticed, I've been creating heaps of nail art with the new Maybelline Color Show collection. I've done water marble nails, tropical sunset nails, abstract candy floss nails, patchwork nails, dotty nails and rose and checkered nails! 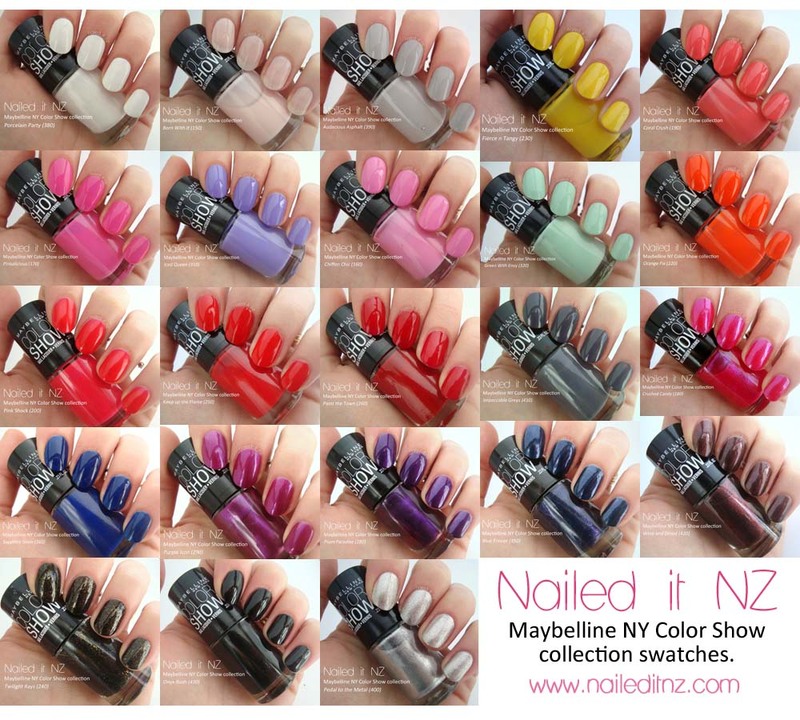 The Color Show nail varnishes collection was launched at the beginning of the month (June 2013) and has 25 brilliant shades. I only have swatches of 23 of them however; one polish (Fuchsia Flash) had some shade issues and wasn't sent to me and the other is just a clear - so it's kind of hard to take a photo of it! I'll still add in a little review of it at the bottom of the post though. Here's a collage of all the shades. There are some real stunners in there! Each polish is in the cute little bottle that you can see in the photos and contains 7 mL of polish. Now I'll show you all the colours, including a quick description of them. At the end of the post I'll give you a short list of my favourites - so that if you go buy them yourself you'll know which ones are just perfect! I'll also put a link to where you can buy them at the bottom of this post. My new go-to white creme. Opaque in two coats - and if you're using it underneath another colour to make it "pop" you'll be fine just using just one coat. The only thing I don't like about this polish is that it's not big enough - I go through whites very quickly! This baby pink nail polish is definitely for French Manis, so don't buy it if you're wanting an opaque colour. It's very sheer - this was five coats. Again, it's a beautiful colour for French manicures, so if you like them - go for your life! Also good for if you technically aren't allowed to wear nail polish to school but want them a little glossier. A light grey creme - I'm really glad they included colours like this in their collection! Cremes of all colours are great for nail art - this one has me wanting to turn my nails into little elephants! I used two coats but I tend to apply my nail polish quite thickly so you may need three. I was stoked when I got this - I desperately need a replacement for my current yellow (China Glaze Sunshine Pop) that stains my nails like crazy! So far this creme polish has been great - I'm rocking spongebob decors on them today :). It's opaque in 2-3 coats, depending on how fussy you are, really. One of my favourites. I love corals, teals - those "in-between colours" that are a little more special than a straight red or blue. It's quite bright but I still count it as a pastel creme. Best thing about it? You only need 1-2 coats! Another great colour. A gorgeous, vibrant, pink creme. The colours don't quite capture the beauty of it! Again, you only need 1-2 coats of this. 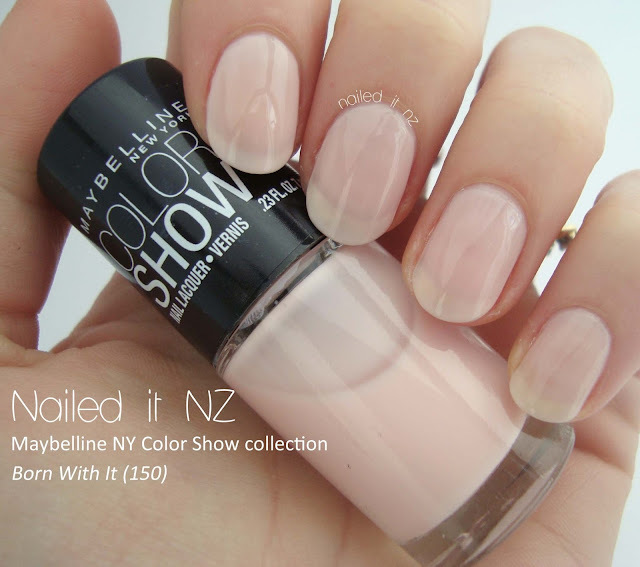 A lovely pastel creme that I kept coming back to when I was doing nail art with these colours. It's more purple in real life. This is with two coats. Another pastel creme - a lovely soft pink. It needs 2-3 coats and is more a little more vibrant in real life. Another beautiful pastel creme. Only needed two coats (this collection is full of two-coaters, I love it!). Only thing I don't like about it is the name - it's been used too much already! I already have Green with Envy by Orly and Green with Envy by Rimmel! Okay, I'm really not good at identifying all the different finishes and types of nail polish, but I'm pretty sure that this polish counts as a jelly. 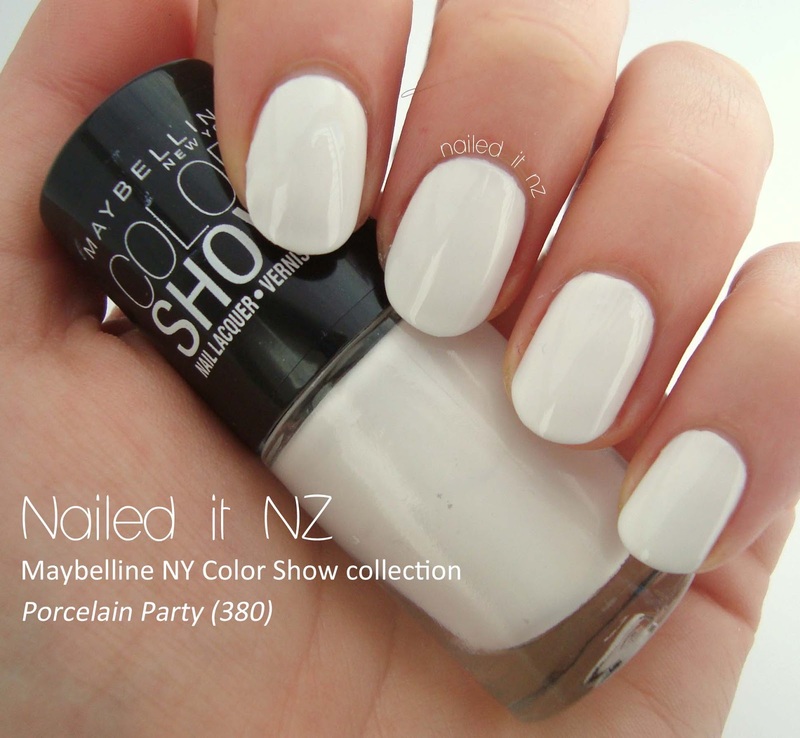 It needed 2-3 coats, depending on how long your nails are and how white your tips are. This bright orange is awesome and I can see myself using it a lot! It's pinker in real life, but is still more of a red-pink than pink-pink. As with Orange Fix, it's got a jelly-like consistency and needs 2-3 coats. I painted a bunch of little girls nails last night and this was one of their favourite colours! This vibrant creme red is what I consider a standard nail polish colour - two years ago this (and pink) was the only colour I wore! Definitely a staple in everyone's collection. Only 1-2 coats needed - awesome. This one only needs one coat - brilliant for if you're in a rush! It's a very rich, deep red creme. Every time I see the name I think of Grey's Anatomy, lol. 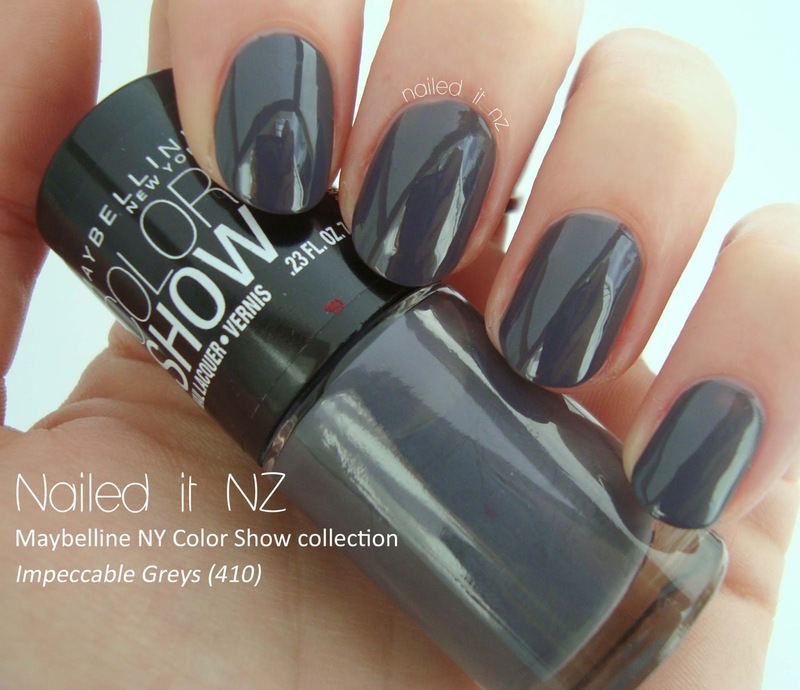 A two-coater dark grey creme. It has a slight blue tinge to it, makes it a bit different. Maybe not everyone's cup of tea but if you want all the colours like me then you'll like it! Oh, this one is just delicious! It reminds me of unicorns and ponies and barbies and all things little-girl related. Definitely one of my favourites. It does need three coats... but it's worth it! And if you put it over another pink you could get away with just one. A medium-dark blue creme polish - I like! Two coats (of course). A two-three coater with a slight shimmer. It's very pretty, and a lovely mix between pink and purple. A beautiful, strong, shimmery purple. Needed two-three coats. I rarely wear "plain" nails, but when I do this is the kind of polish I go for :). This one's a little bit special. It's mostly blue, but with purple and pink shimmers in it as well. When I first saw it in the bottle I thought the shimmers would be more obvious on the nail - unfortunately not. However, it still in gorgeous - see the photo underneath the main one for a closer look at the different colours. Two coats needed. The name of this one's a bit weird - on the bottle it says Wine and Dined but on the website it says WineD and dined! Oh well. This shimmery brown polish is quite thin and needed three coats. Quite a classy, grown-up colour. I love this one! It's a dark green/brown with gold/green flecks of glitter. It only needs two coats and definitely makes it on to the "very cool" list. See a closer-up photo beneath the first one. I've used this one heaps, for outlining nail art, etc. I'm not a big fan of plain black nail polish by itself, but that's just a personal preference. 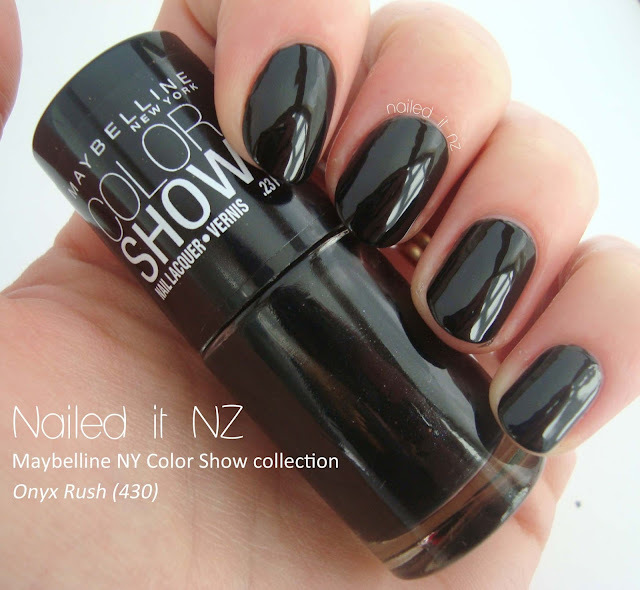 It's my new go-to black for nail art - it's got a great consistency, just like the rest of these polishes. Only problem is that it'll run out too quickly - I wish the bottle was twice the size! 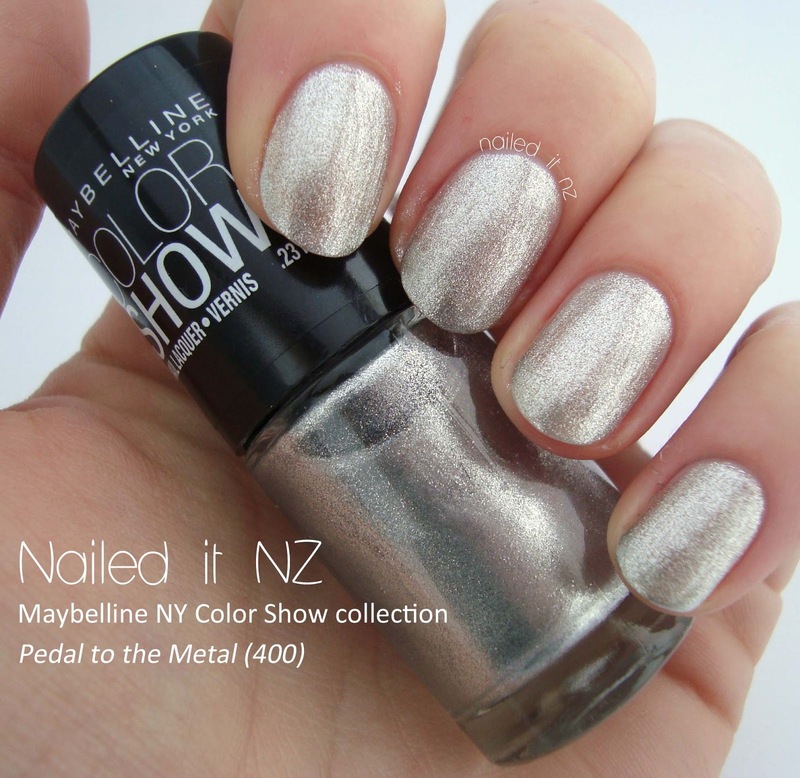 This silver polish can be used either as a top coat or by itself - it's quite thin. One coat creates a gentle shimmer, but by three coats it's opaque. It's got a very frosty finish, too. And last but not least is Clear (440) - no picture, I'm afraid. I normally use quick-dry top coats but I've had problems with them lately, so have been using this over top of my nail art. While it takes a little longer to dry than the others, it's a great top coat and legitimately made my nail art last twice as long as my other stuff has been. As with the black and white, I wish the bottle was bigger! 7 mL of top coat will be gone in a month or two for me! I guess it's a good amount for "normal" people :P.
In conclusion, this is pretty much my ideal collection - it covers almost every colour you need for nail art plus a few special ones. The consistency of this nail polish was another thing that sold me on them. They're very thin, but most are still opaque in two coats. This means that they dry quickly and you can spend less time painting your nails and more time admiring them! As I've only swatched some of these (and not properly worn them) I can't say for sure how long-lasting they are. However I've used many of them in nail art and they lasted well! After using them more I'll update this post if I find them not lasting as well as they should be. When I do reviews I'm always very honest - I've got a reputation to uphold! But I can honestly say I loved every polish in this collection, and I'll be using them in most of my nail art from now on. They really were the perfect collection for me and anyone else who loves doing nail art. If you're interested in buying some of these nail polishes but they aren't for sale near you, check out Maybelline's website, here. I live in New Zealand and from what I understand they're sold in Farmers, Kmart and selected pharmacies and supermarkets. Phew, this post has taken a long time to get together! A good five hours of work has gone into it, from swatching to editing to writing up! I hope it's helpful - let me know if you buy any of these and what your favourite colours are! I will be needing Blue Freeze STAT! It's gorgeous, isn't it? Thanks Lacey! Such pretty swatches. I like the look of Coral Crush and Born With It. I particularly love Coral Crush too :). Awesome review! Thanks so much for this! I want TOO many of this collection! Good idea! This yellow didn't stain at all, it's so weird. It's a beautiful collection! I adore Porcelain Party (380), Iced Queen (310), Green With Envy (320), Impeccable Greys (410) and Blue Freeze (350)! Very nice review.. All the shades look awesome on your nails. Although, you forgot a very important shade from this range - Denim Dash.. It completely tops the list as per me.. 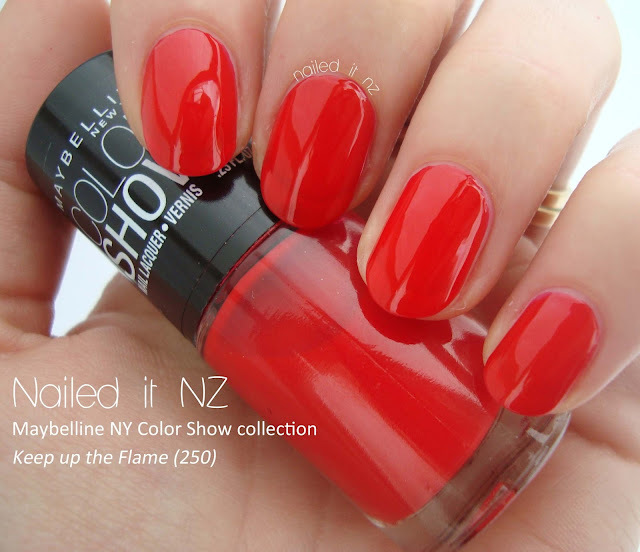 Interesting, I didn't get this polish with the collection! I've googled swatches of it and it looks gorgeous!